"Undergound exploration with tunnel fights"
Tefia Rypal, a transporter who worked on the lands, suddenly gets a package which its content will change her life forever. She will fight against legions of demons with smugglers who co-operate with them. 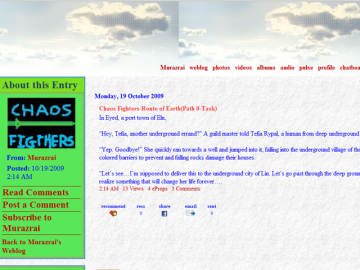 Chaos Fighters-Route of Earth has not been tagged yet. Help others find Chaos Fighters-Route of Earth by tagging it! Chaos Fighters-Route of Earth has not been reviewed yet. Chaos Fighters-Route of Earth has not been recommended yet.